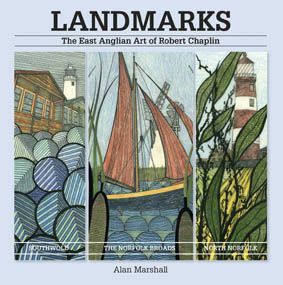 The late Robert Chaplin’s colourful interpretations of familiar Norfolk and Suffolk scenes continue to provide pleasure. 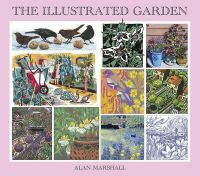 The blend of draughtsmanship, graphic design and an eye for composition resulted in a series of enduring images. With the more familiar locations in Southwold and Cromer, Robert’s challenge was to use his combination of pastel, ink and crayon in such a way that would differentiate his work from that of the many other artists sketching and painting the landmarks. When it comes to Robert’s home patch of the Norfolk Broads, there is surprisingly little competition among contemporary artists and modern techniques. Robert’s bold portfolio of waterside locations therefore contrasts strikingly with the myriad conventional watercolours and oils showcasing the region. With his numerous Broads images, he added greatly to the artistic landscape. Small wonder that reproductions of these highly original compositions prove so popular with holidaymakers and locals alike.